Hi!!! With winter in full swing and germs flying around, it’s more important than ever to get vitamins and minerals in. It’s also the time of year where nothing sounds better than a lazy bowl of soup. Well, this simple recipe accomplishes the best of both worlds. Lets cook! 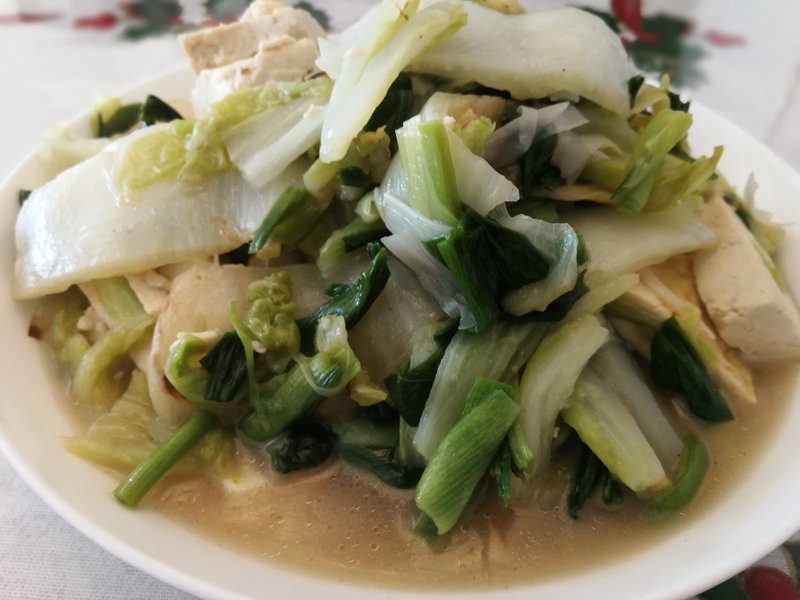 Roughly chop cabbage and slice tofu into rectangles roughtly 1-2 cm thick. Add a bit of oil to a wok and stir- fry cabbage until soft and watery. Add tofu, garlic and salt to taste. Reduce heat to low, cover and let stew for 15-20min, stirring occasionally. Remove from heat, serve and enjoy!